Apart from Survive in Hell, JCD's token one man megaWAD, his only other solo release as of this writing is Titania, published in 2012 for Doom II. It hasn't graced the archives, but it's interred on the Doomed Speed Demo Archive if you want to take a look. (EDIT 12/22/13: JCD uploaded it to the archives on 12/17/13!) He describes it as a small map inspired by Ultimate Doom, but if that means upwards of 250 monsters with a layout to match, he has a very different sensibility about level size. Titania has no given story. It's clearly a UAC techbase complete with a front desk, but that's it. Necromantic Thirst may be on hiatus but French Doomers JC and Oxyde managed to wring some maps out of their burgeoning community. Speedmaps, that is. 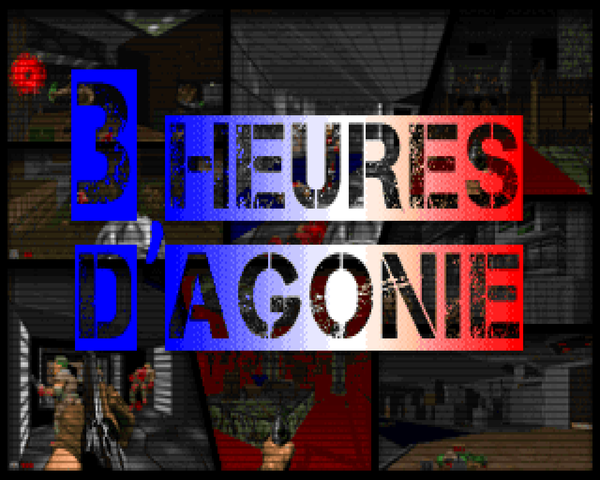 3 Heures d'Agonie was constructed under one general guideline; authors were to map for no longer than three hours. Of course, it's just a guideline, with some taking slightly more time in their editor of choice. 3HA is a collection, offering no major themes and no given story. 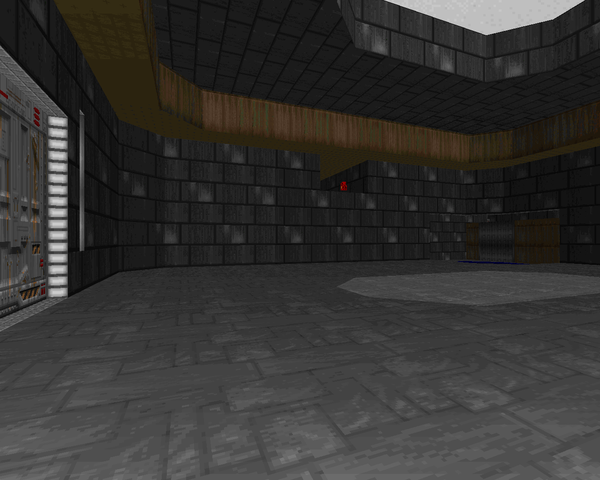 It does fill all thirty-two map slots, though, to be played with Doom II in limit-removing sourceports. While there's no defined theme there are a fair bit of custom textures added so that you have something new to look at and a pretty good soundtrack to enjoy them with. Derek Mac Donald, otherwise known as Afterglow, is more known for his deathmatch works than anything, so it's interesting to see such a dedicated author take a run at the single player side of Doom. Mac Donald wouldn't release the second Jägermörder level until 2005, but in 1999 he published this single level - Chemical Lab - for Doom II, to be run in Boom-compatible ports. It's a short MAP01 replacement in a techbase style. The supplied story describes a Hellish invasion in the Colorado Rocky Mountains where UAC computer anomalies were ascribed to ever-infamous Microsoft malfunctions. The oversight allowed the demons to slip in, so it's up to you to fight to the teleporter technology they used to enter and slay the source on the other side. You never forget your first superhero. Some twenty years ago, my big two faves were the X-Men cartoon and Batman: The Animated Series. I only have one of those on DVD today; you can probably guess which one. It's TAS, by the way, because B:TAS is awesome, and even though I am a much bigger Spider-Man fan, when I go DC, it's Batman all the way. 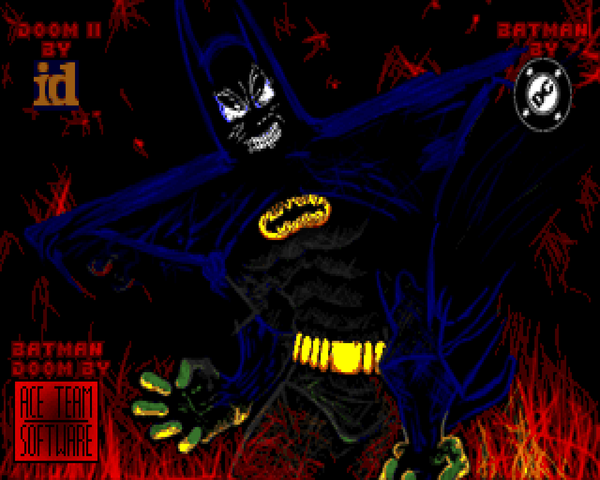 Batman Doom, released in 1999, is a fun throwback to that 90s Batman fever. It pulls a lot more from the comics than either TAS or the movies, but you can see where they intrude. It's also designed for DOS (not vanilla!) 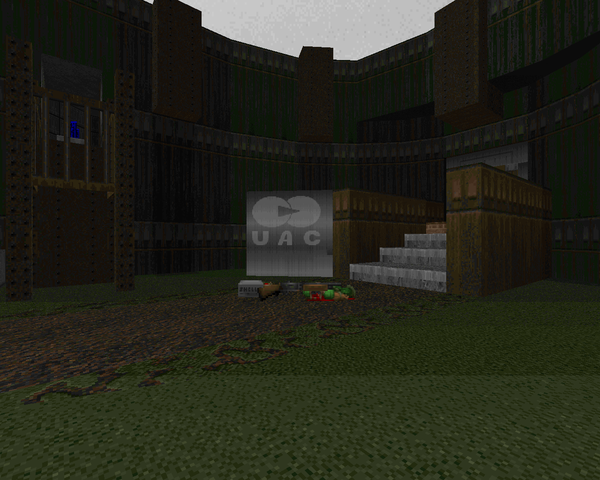 Doom II, doing an unprecedented amount of mod work with DeHackEd. Batman Doom comes from the ACE Team - Andres, Carlos, and Edmundo Bordeau. I think this is where they started their work; nowadays, they're releasing actual games for money, most recently Steam favorite Rock of Ages. Perro Seco released the first Planisphere in 2011. He published the sequel, Planisphere 2, more than a year later. 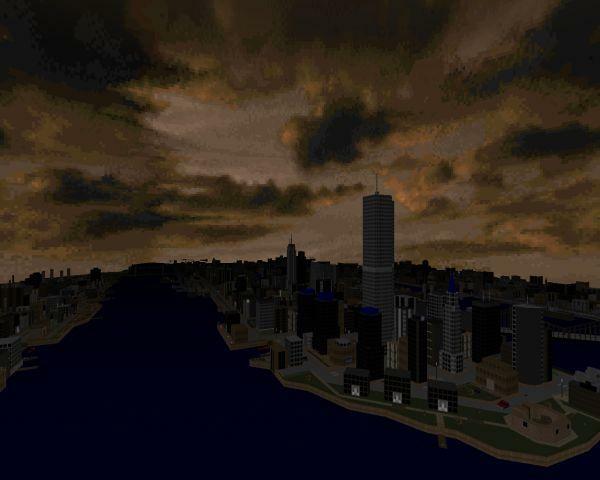 Like the original, PLANISF2 is a single city level for Doom II, occupying the MAP01 slot. Unlike its progenitor, however, Planisphere 2 is big. That's because it's a scale model of New York City. Yeah, that's right. The whole city. Well, actually, you start in New Jersey and fight your way through Manhattan, gracing Brooklyn and Queens with your presence, eventually ending up in Rikers Island. The point is, the map is so huge it's prone to causing errors in the engines it plays in, but more on that later. 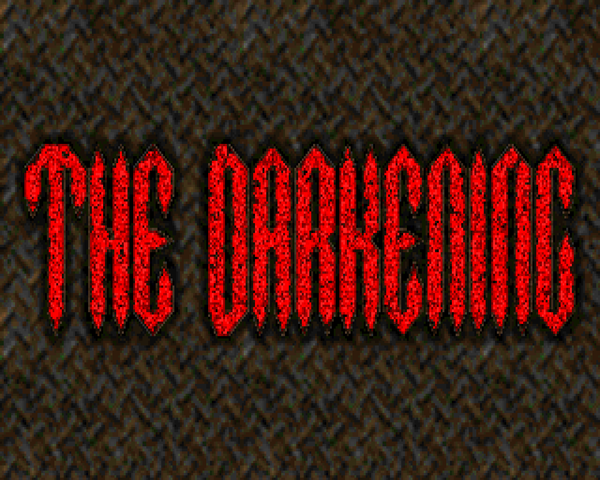 In 1999, The Darkening team released the first episode of what was to presumably be more. In 2000, a clearly exhausted Ola Björling pushed the second episode out the door. 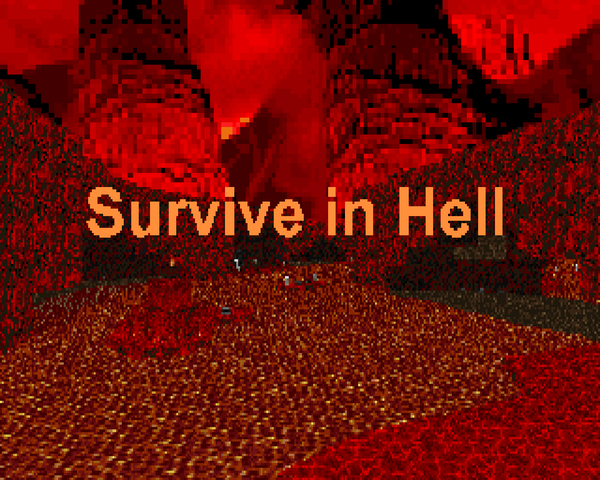 We got twelve more levels for Doom II, an impressive set of brand-new textures to play around in (though not WITH for many years), and a complementary deathmatch-oriented episode. 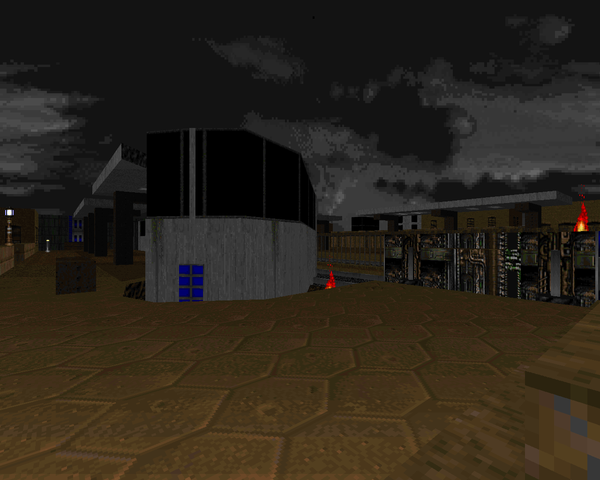 Gone was the voluminous prose in the .TXT, eliminating any story connections between Darkening's E1 and E2, eerily echoing the relationship between id's Quake and Quake II, a comparison even more relevant when one realizes that the aesthetics of the new textures (and bits of level design) clearly evoke Quake II where DARKEN's borrowed from Quake. The other downer was the announcement that there would be no third episode as the authors had either given up on mapping for Doom or moved on to other games. Amusingly, Jan and Adam are still around and mapping, along with Travers from the original episode. Keep it strong, guys! Latin Doomer Perro Seco made a bit of a splash when he released Planisphere 2 mid 2012, which begged the question: Where is original Planisphere? Well, Deathz0r archived it on Gamebanana, though the distribution clause means it could show up on the /idgames server if some kind soul wants to upload it. It dates to roughly a year before its sequel. Planisphere, like its younger brother, is something of a city map, but with a few jaunts to other domains that better encapsulates it as a single-map PWAD for Doom II. It's meant to be played in a limit-removing port, with no other real restrictions, at least that I could see, and plays in the MAP01 slot. 1998 seemed to mark the death of super cool community projects for Doom. Everyone seemed to be too busy playing Quake, realizing Warren Marshall's very public fear. So imagine when The Darkening debuted its first episode in 1999, "The Nameless Project", looking very much like Doom but with a keen eye for lighting characteristic of many of these authors' earlier works. 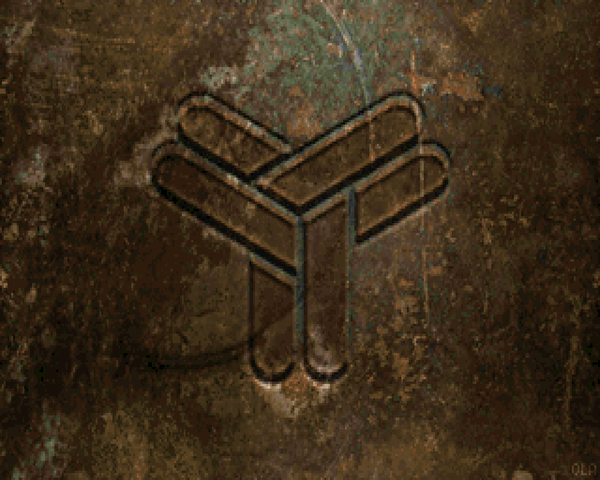 Lighting isn't the only element borrowed from Quake. It's nothing like Iikka Kernanen's ode to the big Q in Requiem, but there's a certain aesthetic clearly echoed with the use of Shub-Niggurath slipgates and the new textures that clearly shows that Doom II wasn't the only thing on the minds of this team. Still, they managed to stop boxing Shub-Niggurath long enough to put out eleven more levels for Doom II.